The term “insanity” was once defined as “doing the same thing over and over and over again and expecting a different result”. By this measure, the leadership of Sovereign Grand Lodge qualifies. Why? Because every year they meet in session, and every year they talk about the decline in membership, and every year they peck and cluck about the terrible losses of members. Yet every year, the leaders at Sovereign Grand Lodge continue to do the same thing – again and again and again. 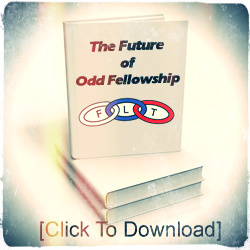 They elect each other to office, they ceremoniously march around the room, they have dinners and speeches, and they profess the importance of Odd Fellowship and FLT. And yet year after year the leadership does nothing substantive to stem the loss of members, and does precious little to empower members and Lodges with the tools to increase membership. They did, in their collective wisdom, raise the dues that members must pay to SGL. What a mistake! Raising of dues will simply create one more impediment to recruiting and retaining members. Currently, there are 16 jurisdictions (states and provinces) with less than 200 members. 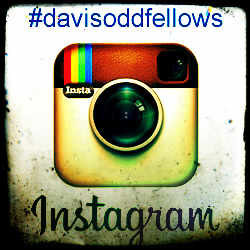 My own Lodge in Davis, with 300 members, has a greater membership than 16 entire jurisdictions. My Lodge continues to grow, and these jurisdictions continue to shrink. Yet those shrinking jurisdictions (each with less than 200 members) continue to go through the facade of having Grand Lodge Sessions, electing each other to Grand Lodge office, holding annual dinners, and making believe all is well. And all is not well. Lodges are losing their charters or consolidating. Every year, the membership of our Order in North America declines. How long can that last? Perhaps 20 years before total collapse? The branches are disintegrating. The Order is in peril. 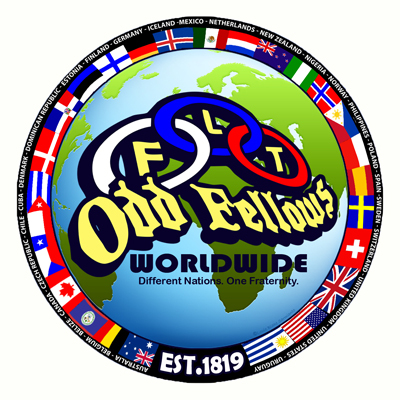 The irony is that there are some Odd Fellows jurisdictions, like California, and some Lodges, like the Davis Odd Fellows Lodge, that are growing and have been adding members. And yet not once has the leadership of SGL come to the jurisdictions and the Lodges that are growing and made the obvious inquiry: “How do you do it?” and “How can we replicate this growth?” Instead, the leadership at SGL just continues to do precisely what they have done for the past 100 years – year after year after year – and hope that if they only continue to do what Odd Fellows did in 1920, somehow the Order will resurrect itself and all will be well. Our California Brother Rick Boyles ran for the office of Sovereign Grand Warden this year. Brother Rick has just returned from SGL sessions. He did not win the office of SGW, but he went to SGL and he did what very few Odd Fellows have the guts to do: He spoke truth to power. It may have cost him a lot of votes. But it needed to be said. His speech to SGL, as a candidate for SGW, is reprinted below. I urge you to read it. How many times was membership brought up yesterday? Only once, and by Manchester Unity, never by anyone in America. So, when do we get serious? Have you read PSGM Jon Petersen’s May 2018 membership report? In one year, we lost 1,333 members or 4% of our total membership. -at this rate, we will be defunct very quickly. Reading the sessions book, we have 16 jurisdictions with less than 200 members, including 6 jurisdictions with less than 100 members. 32% of our jurisdictions are distressed. Almost all jurisdictions are now losing members. It is not enough to say we need new members, or that we need better members, we need to walk the walk and not just talk the talk. California, on the other hand, now comprises 14% of our nationwide population – we showed an increase of 90 members. Sovereign Grand Lodge just awarded us the first prize in membership. Less than ten years ago, Past Sovereign Grand Master Don Smith, Past Grand Master Dave Rosenberg and I started the group called Dedicated Members for Change. In the past five years, California has shown an increase in membership every year. Thousands of members are now members of the Dedicated Members for Change. Brothers and Sisters, unless we make substantive changes soon our order is doomed. Just talking about membership really is ineffectual. Sooner or later we must walk the walk. It clearly is discouraging to read negative reports about membership, but they are accurate representations of the state we are in. It is time now to change or see our beloved order pass away. I ask for your vote. Why not vote for a successful jurisdiction for a change? The jurisdictions you tend to vote for are not showing net gains. This bears repeating – the jurisdictions you normally vote for are not showing net gains. The real question is, do you care? Evidently not, or you would show it with your votes. Either we change now or we “should start making arrangements for an orderly demise within the next very few years” (Jon Petersen).